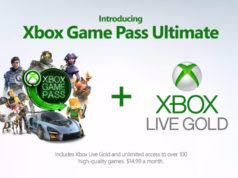 Microsoft might want tons of apps in its digital store meant for Windows users. But, there is no place for apps that include ‘Windows’ in their name. Not at all, if they start sending legal notices. 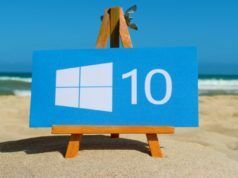 Redmond has asked the developers to pull their apps from the Store. Among the affected ones are names such as the Microsoft-focused publication WindowsArea.de and Dr. Windows. 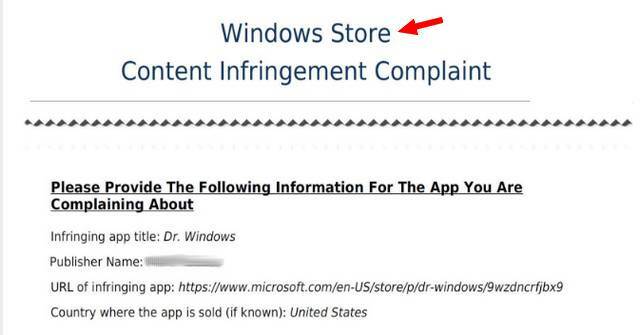 The developers of the affected apps are getting emails from MSFT lawyers informing them that the use of the name ‘Windows’ for their app infringes the copyrights. The emails which the two sites got on Saturday asked the developers to rename the app or take it down from the Store. Otherwise, it might get removed without further notice. Redmond might not be wrong on the legal front, but the lawyers seem to have forgotten the fact that the Store is now called Microsoft Store not Windows Store. Maybe, the legal campaign was kicked off before the Store’s renaming ceremony happened. And what would be their next target? Will the copyright sword hang over websites with ‘Windows’ in the name or URL as well? Another question out of curiosity why is Microsoft concern about such apps all of a sudden. Some of the apps are living in Microsoft Store since 2012, like WindowsArea.de.